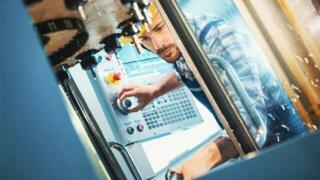 Private sector output accelerated to a four-year high in Scotland last month as new orders continued to pour in, according to a regular survey of firms. The Royal Bank of Scotland PMI found new business expanded "solidly" in August, and at a faster rate than the UK average. Private sector employment increased for the six month in a row but at its weakest rate over the period. The survey indicated that the growth was driven by the services sector. Manufacturing output rose only mildly and at the weakest pace in three months, while staffing levels in the sector declined for the first time since January 2017. Staffing costs were reportedly a factor, driving input costs higher in August. Panellists also attributed increased expenses to sterling weakness, as well as higher food and fuel prices. In response, output charges were increased with manufacturers raising selling prices to a stronger degree than their service-providing counterparts. Meanwhile, businesses continued to anticipate greater activity over the coming year. However, the degree of confidence eased to a nine-month low. Malcolm Buchanan, chairman of the Scotland board of RBS, said: "Momentum in Scotland's private sector economy has been building since the start of the second quarter and latest data continued this trend. "Downside risks still remain however, as panellists report that recent sterling weakness has pushed up costs." Last week, an independent policy think tank found that Scotland's productivity levels were "broadly stagnant" and lagging behind many other European countries. The study by The David Hume Institute argued that a "concerted effort" was required if living standards were to improve.